Join us for our first ever TrueBlue Summer Concert Series! Whether you prefer beachy tunes, bluegrass or 80's throwback jams, we can all agree on one thing: music was made for the summertime! 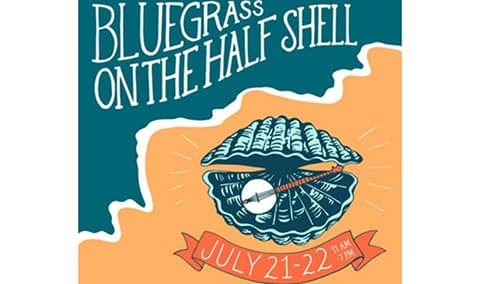 Lace up your boots and join us for this special two-day event and listen to a variety of local bluegrass bands that will have you flatfooting in no time. King Street Oyster Bar will be joining us with their signature oysters as well as other specialties. Bluemont Vineyard, Dirt Farm Brewing, and B Chord Brewing will be onsite pouring your favorites to pair with your fare! Music talent includes The Plankstompers, King Street Bluegrass, Short Hill Mountain Boys and Buds Collective. includes admission to event area to feature a full day of local bluegrass music and a complimentary glass of beer or wine. includes admission to event area to feature a full day of local bluegrass music and a complimentary ice cream. Children 2 years old and under do not require an admission fee. Event area will open at 11 am at the Tasting Room at Bluemont Vineyard. Music will begin at 12 pm. Event will take place rain or shine. No refunds will be issued. Vista Club members of Bluemont Vineyard and CSA members of Great Country Farms receive 15% discount on ticket price.